Most folks tend to think of Kauai as one of Hawaii’s most laidback islands to visit. While that may be true, Kauai offers many fantastic activities and adventures. As you’re making your Kauai vacation plans, I do recommend you read our list of the best free things to see and do on Kauai. You’ll certainly want to plan to see all the great sights from that list. If your vacation budget allows, this article includes the best paid activities and attractions that are definitely worth the time and money. As a repeat visitor to Kauai, I carefully selected these three activities because they all feature something special or unique about Kauai. From the moment you arrive on the island, you will see that Kauai is amazingly beautiful. But, what you see from the roads is really only scratching the surface. Take a helicopter tour to see remote waterfalls, cliffs and landscapes. I’ve taken three different helicopter tours of Kauai and I see something different each time. Most, if not all, helicopter tours of Kauai include flying over picturesque waterfalls, Waimea Canyon, the Na Pali Coast and, when weather permits, Waialeale Crater. See our tips for choosing and taking a Hawaii helicopter tour. You have three options for seeing the ruggedly beautiful Na Pali Coast – by foot, by helicopter tour and by boat. 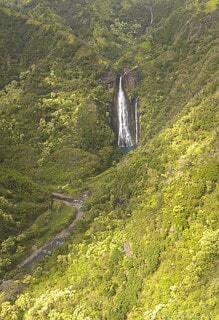 I recommend you see the Na Pali Coast from the air via a helicopter tour and by sea on a catamaran cruise. A helicopter tour shows you the entire coastline in a short amount of time, while a catamaran cruise allows you to absorb the scenery at a slower pace. Some Na Pali Coast catamaran cruises include the opportunity to snorkel, which will allow you to kill two birds with one stone, so to speak. 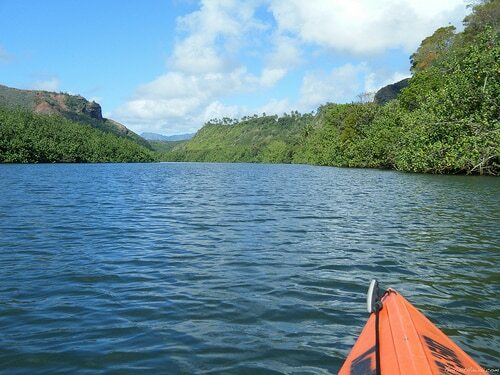 Kauai is the only island that has rivers that you can kayak, so take advantage of that unique opportunity. We loved kayaking the Wailua River and then hiking to take a dip below 100-ft tall Uluwehi Falls. (By the way, Uluwehi Falls is also called secret and/or sacred falls.) At first glance, you might think this kayak and hiking adventure is strenuous, but it’s really not too difficult. We’ve seen folks of all ages on this activity. Now that we’ve covered the top three paid attractions and activities, let’s look at some honorable mentions. Just one more reminder to be sure and include the top free things to see and do on Kauai in your vacation plans, as well as these paid recommendations that fit your budget. You’ll be sure to have a fantastic time. thanks for this helpful article! Can you kayak and hike to the falls by yourself, or is this something that needs guided tour. I’m not completely certain, but I don’t think it’s absolutely necessary to take a guided tour. I could be wrong, though. If I remember correctly there were a couple of forks on the river that you needed to know which way to go. I didn’t pay attention to how well the trail was blazed. You might want to call a company that rents kayaks, like Kayak Kauai, and ask them for their advice. Na Pali tour is a must, as long as you’re not highly prone to sea sickness.